Akzo Nobel’s state-of-the art training facility celebrated its third anniversary last month and DIY Week caught up with Academy lead Vickie Mather to talk about trends in the market and what plans are in the pipeline for the future. To mark the milestone, Akzo invited guests to the flagship training centre at its head office in Slough to experience trade and retailer training courses first-hand, and find out more about its ongoing expansion plans. The list of courses available, which are primarily taken up by decorating professionals, is constantly evolving and new additions include kitchen refurbishment, and advanced wallpapering. 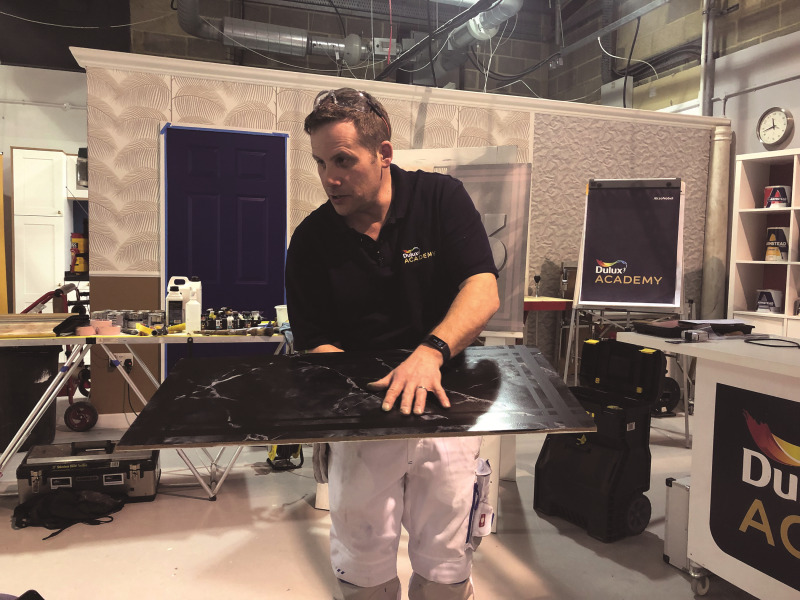 Meanwhile, bookings for craft courses, such as marbling have seen a 500% rise year on year, with Dulux Academy skills development consultant Matt Gray explaining that the skills offer a point of difference for decorators in a competitive marketplace. “We’ve seen a strong demand for the courses from decorators, as well as for other similar craft courses including graining, gilding and urban effects like concrete,” he said. There is still a strong attendance from retailers on Academy courses based around product knowledge courses and understanding colour, and Ms Mather also revealed plans for a new online training package for retailers and merchants, with some of the content already in production. Read the full story in the April 12 issue of DIY Week. Sign up here to receive our print or digital edition.